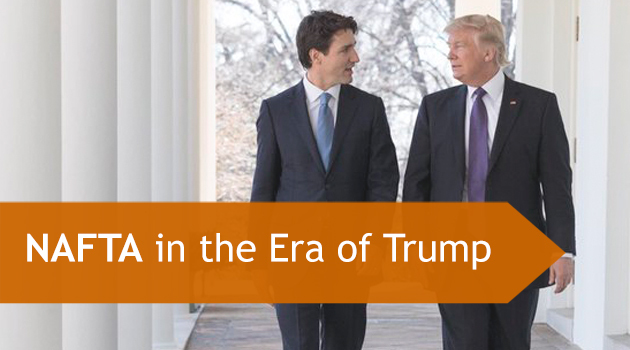 NAFTA in the Age of Trump - Inter Global Logistics Inc.
What’s does the future hold for NAFTA? Let’s start by asking a different question: What would you guess is one of the most stressful jobs in North America today? Imagine that you’re a student in elementary school. You’re standing at the front of the class and the teacher asks you to solve a very, very difficult problem. Not only that, but she also tells you that if you don’t get the answer right, everyone in the class will lose their recess juice boxes. You try to study the problem on the board, examining it from every angle, trying to figure out the best possible solution. However, while you’re trying to concentrate, there’s a bully in the back row of the class yelling at you, taunting you, throwing things at you, calling you stupid, and threatening you if you get the answer wrong. Not only that, the bully is also making fun of your classmates, threatening to beat them up after school. All awhile, the teacher is just standing there, still expecting you to solve the problem. Welcome to the life of a NAFTA trade negotiator in the age of Trump. NAFTA is one of the most successful trade agreements in the history of modern civilization. Since it was signed by Canada, the United States, and Mexico in 1994, North American trade has tripled, supply chains have become integrated, and the three economies have become entwined in a way that would prove almost impossible to dissolve without causing massive damage to international relations, businesses, and customs organizations. Together, our three countries have combined to create an international trade powerhouse. Anyone can see that dissolving NAFTA would be an economic disaster for the entirety of North America, with possible ramifications for the rest of the world. Donald Trump passionately ran against free trade agreement throughout the 2016 US Presidential Campaign. He claimed that NAFTA was responsible for the major loss of manufacturing jobs in the United States and that both Canada and Mexico were ripping the country off. He effectively demonized the agreement among his supporters. Now that he’s in power, Trump seems intent on doing whatever he can to sabotage NAFTA renegotiation efforts. This could prove disastrous for all three major economies of North America. Even if current NAFTA negotiations are successful (the third round of talks just ended on September 27th), President Trump could still pull out of the agreement under Article 2205 of NAFTA if he isn’t a fan of the new deal. He just needs to give six months notice, and the US will no longer be part of the agreement. What does the Canadian Government Really Think? 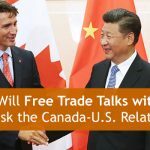 Recently, the Canadian government has released statements that they feel everything is going well and that a deal might be reached by the end of 2018. But with the political turmoil of the United States, who knows if this will be possible. It may be difficult to reach a fair and equitable agreement when the leader of one of the countries is literally shouting “America First!” at the top of his lungs. There are political realities that need to be dealt with. Although Canada doesn’t have an election scheduled until 2019, Mexico and the United States will both have major elections in 2018 (Midterms for the US, Presidential for Mexico). There seems to be nothing that politicians enjoy doing more than using international trade as a political football, and electioneering could sabotage any NAFTA agreement that looks like a lock (just like with the Trans Pacific Partnership in 2016). Too Hard, or Not Hard Enough? We’re coming down hard on Trump in this blog, but it’s part of the unfortunate reality that we currently need to deal with. Negotiators and politicians in all of our countries understand the importance of NAFTA and how it’s vastly improved economic conditions across North America. In Mexico, free trade has assisted in minimizing organized crime by stabilizing the Mexican economy. Losing NAFTA could introduce a hugely destabilizing element into their country. In Canada, it’s given us access to one of the biggest markets in the world for such industries as dairy, softwood lumber, and auto manufacturing. 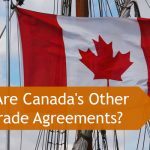 As the US is the #1 buyer of Canadian goods in the world, consider us big fans of NAFTA! Now, that isn’t saying that NAFTA is perfect. It was written decades ago and the world has moved on since that time. A renegotiation of NAFTA was inevitable and desirable to deal with new trade issues that just didn’t exist almost three decades ago. E-commerce certainly wasn’t a thing in 1994! We had hopes that a new deal would further smooth out customs procedures between all of our countries. Unfortunately, it doesn’t look like the current negotiations will lead to a favourable outcome for anyone: Canada, Mexico, or the United States. We hope that we will be proven wrong! No matter what the outcome, we promise you that at Inter Global Logistics, we’ll do whatever we can to minimize any customs headaches and get your good to their destination as quickly as possible. 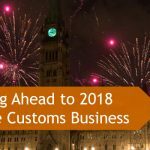 If you’d like more information about Inter Global Logistics or about how the NAFTA renegotiations could impact your business, please contact us online, or give us a call at 1-647-428-6537, or toll free at 1-866-777-7556. Just ask for Sheldon or Ken!